Today we added a new feature to Kitely Market: a way to analyze the relationship between product prices and revenue. If you’re a merchant, this will help you optimize your product prices so that you can maximize your earnings. The Analytics pages now contain a new tab: Prices. This tab shows how products’ prices affect revenue. This information is useful for setting product prices, and for choosing the level of discounts to use in Sales Campaigns. The Y Axis (labeled “Full Product Price”) shows various prices at which your products have been bought. For each price point, the X Axis (labeled “Total Revenue”) shows the total revenue that was derived from products that had that price. 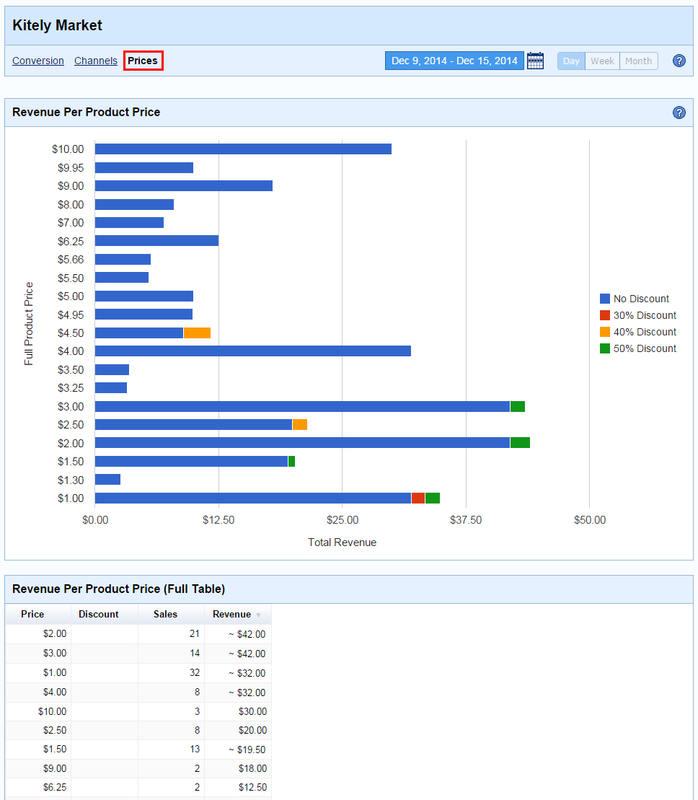 If you’ve sold products using a discount (in a Sales Campaign) then the revenue bars will be subdivided to show how much revenue was made at each discount level. This page can provide insights about how much users are willing to pay for your products. Perhaps you see that low-cost products sell best; or perhaps the other way around. This can help you set prices for your products. This page is also useful for deciding whether to use Sales Campaigns, and which discount levels work best. For example, if you see that selling a product at a 70% discount generated more revenue than a 40% discount then you’ll know that the higher discount works better. Note that in order to effectively analyze the effect of different discount levels you should view a single Product (and not the entire Store). In addition, remember that the selected time range affects the revenue shown: e.g., if the time range is 3 months but the product was only on sale for 1 week then you should take that into account when you evaluate the effectiveness of putting the product on sale. We’re excited to announce a major new feature in Kitely Market today: sales campaigns! Sales campaigns let merchants offer discounts on their products. Discounts have been shown to be extremely effective in increasing sales in other digital platforms, and we expect them to do the same in Kitely Market. “We find that we get several thousand percent increases in units and revenue on the days of the Steam sales, and unit sales are usually about double the normal for a few weeks after the sales are over,” he says [Runic Games CEO Max Schaefer]. “We’ve quantified the price elasticity of e-books from repeated measurements across many titles. For every copy an e-book would sell at $14.99, it would sell 1.74 copies if priced at $9.99. So, for example, if customers would buy 100,000 copies of a particular e-book at $14.99, then customers would buy 174,000 copies of that same e-book at $9.99. Total revenue at $14.99 would be $1,499,000. Total revenue at $9.99 is $1,738,000. Based on these reports we expect products that are put on sale to increase their revenue, possibly by a very large amount. We don’t know exactly what the result of various discounts will be, because the content that is sold in Kitely Market isn’t exactly the same as games (Steam) or e-books (Amazon), but we’re very excited to find out. Once we have some meaningful insights we’ll share them on this blog, so that merchants have a better idea of what types of sales work best. Create a Sales Campaign in your store. The Sales Campaign determines the dates in which the sale is active. Add products to the Sales Campaign. Each product may have a different discount, from 10% to 90%. The navigation menu contains a new item for visiting the Sales Campaigns page in your store. 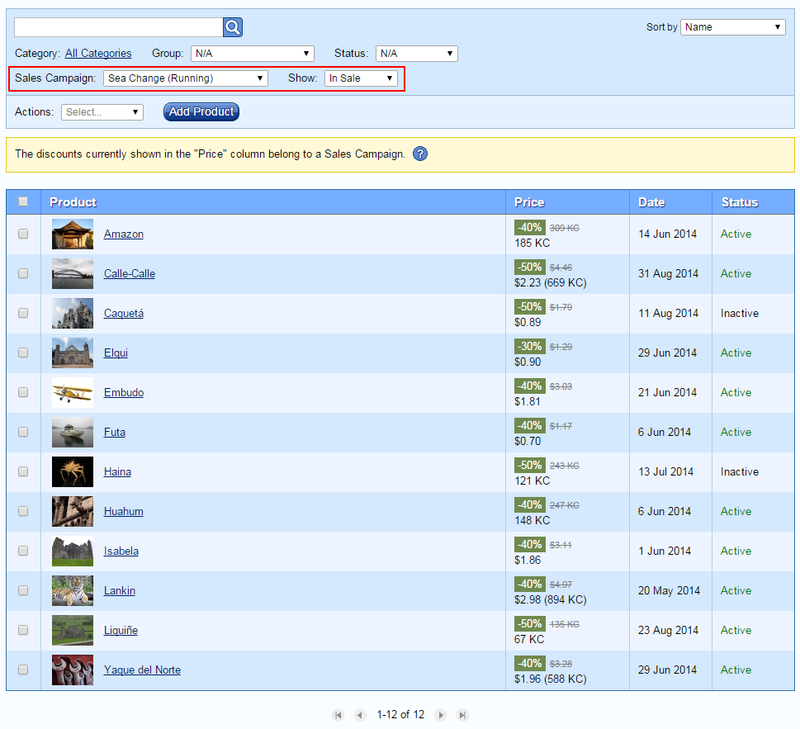 The Sales Campaigns page shows all of your Sales Campaigns. This table also shows how much revenue you made from the sale, i.e. from products that were purchased while they were in this sale. After you’ve created a Sales Campaign you need to add products to it. 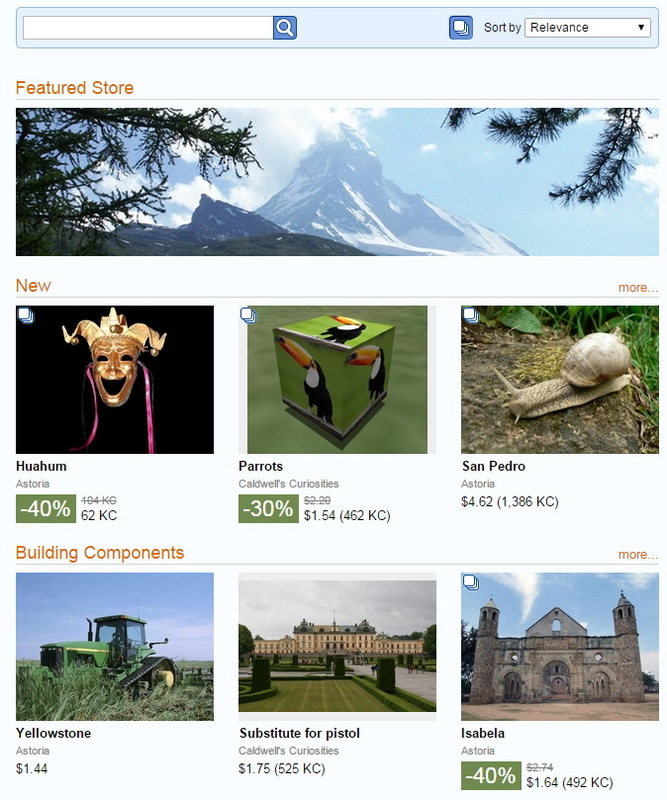 The Manage Products page lets you select products and add them to the Sales Campaign. 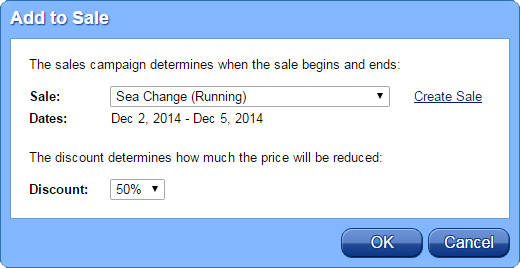 In the “Add to Sale” dialog, select the Sales Campaign and the discount amount. Each product can have a different discount. You can change the discount amount later by selecting “Add to Sale” again, and you can remove products from the Sales Campaign. The Manage Products page has a new filter that lets you view the products that are included in a Sales Campaign. Here’s a tricky bit: when you use that filter, the “Price” column changes to show the discount that will be in effect during that sale. This is useful because it lets you see all the products and discounts in the sale even before the sale is active. 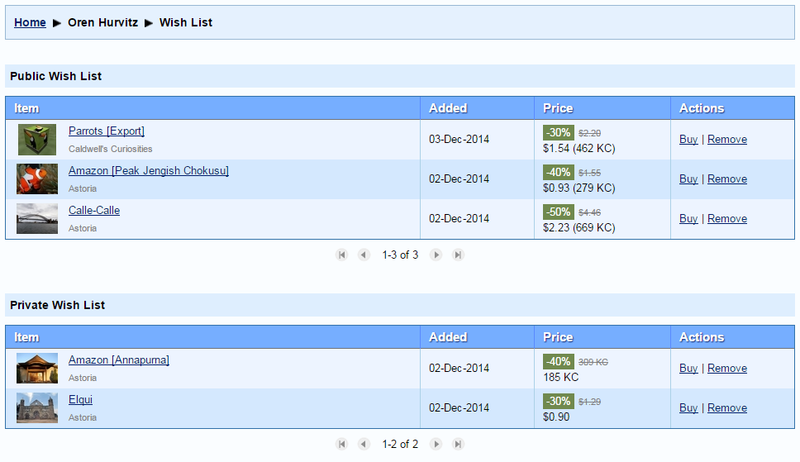 Discounts can make product prices drop below the usual limits (which are 10 KC or $1.00). Our sales commission will also be lower, but always at least 1 KC or $0.01. So far, the Sales Campaign that you had created is sort of “hidden”, in the sense that users can see the products on sale but they don’t know the name of the sale, and they don’t have a way to see all of the products in the sale. Sometimes this is what you want: perhaps you just want to put a few products on sale, and that’s fine. However, a sale is more effective if people know about it. This means that you will want to promote the sale. There are several ways to do that. 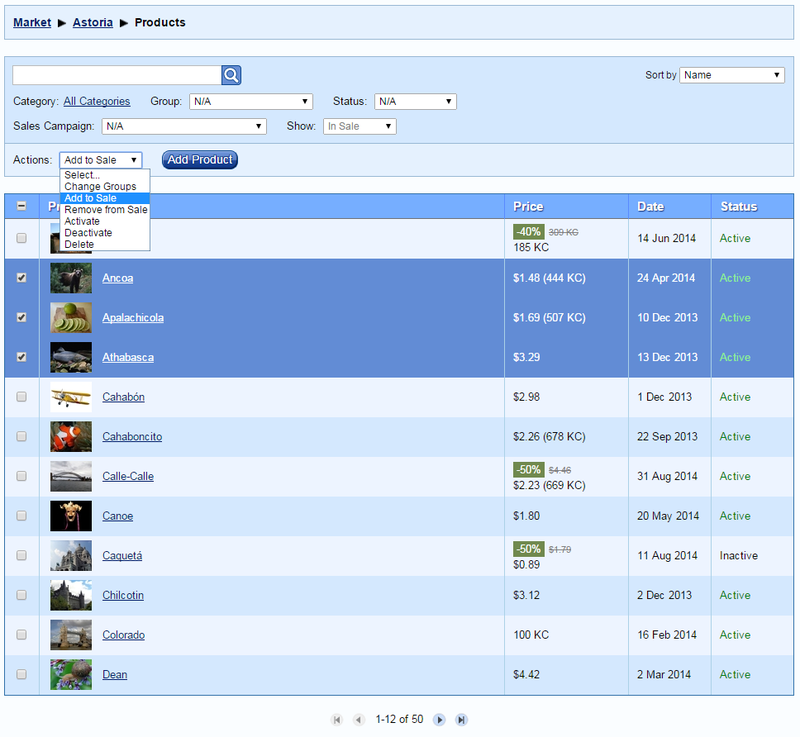 You can create ads in Kitely Market for the individual products on sale. This ensures that people will see that the product is on sale. This is effective if you’re only putting a few products on sale. You might want to put all of the products that are on sale in the same Group. If you do this then in the Related Products section of each of the product pages, the other products that are on sale will also appear. This works because when we choose which products to show in the Related Products section we choose products on sale first, and only then do we show products that aren’t on sale. This means that you don’t have to remove your products from their existing Groups; just add them to one new Group (e.g., “On Sale”). You can press one of the Share buttons to share to several popular social media websites. Or, you can copy and paste the URL to other places: blogs, forums, etc. The URL that you see in this dialog leads to the Sale Page. That’s a page that shows the name of the Sales Campaign, and all of the products that are on sale. This is the only place where users can see the name of your Sales Campaign. So if you share your Sales Campaign URL, make sure to pick a good name for the sale: e.g. “Holiday Sale”, and not “My Sale 3”. You can reuse these names, so you can e.g. have a sale called “New Moon Howl” every month. If you choose not to share your Sale Page URL then it’s okay to pick any name you want for the sale, since users won’t see the name. You can create an ad that leads directly to the Sale Page. To create such an ad, select “Create Ad” in the “Action” menu. You’ll get the “Create Store Ad” dialog, because a Sales Campaign Ad is a type of Store Ad. Make sure that the dates when the ad is active are the same as the dates when the Sales Campaign is active. Sometimes you might not be able to create an ad on the same dates as the Sales Campaign, because there’s a limit on how many ads can be active on each day. If that happens then you have two options. First, you can move the Sales Campaign to dates that still have advertising slots available for creating an ad. This requires canceling the old Sales Campaign and creating a new one using the new dates. The second option is to create the ad on slightly different dates than the Sales Campaign: it might start a little later, or end a little sooner, etc. This is safe because we won’t show the ad unless the Sales Campaign is active, but it wastes a little money. This option might be useful if it’s very important for you to have the Sales Campaign active on specific dates: e.g., on Christmas. 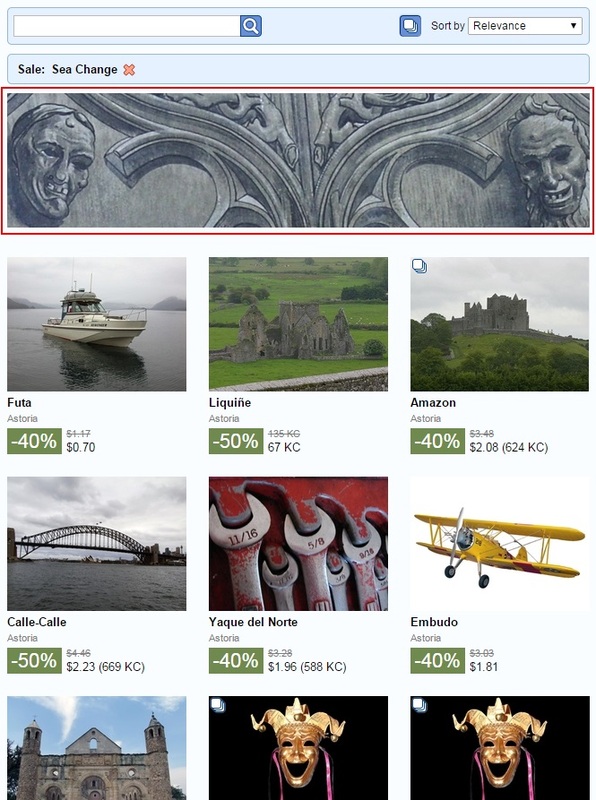 As a bonus, when you create a Sales Campaign Ad the image that is used in the ad will also appear in the Sale Page, which is nice for branding the sale. (Otherwise only the name of the Sales Campaign will appear in the page.) Note that this image will appear in the Sale Page for the entire duration of the sale, regardless of the dates during which the ad from which the image was taken is active. If you aren’t a graphics designer then you might want to hire someone to create the ad for you. If you are a graphics designer who can do this type of work then please add your name and contact details in the comments. Discounts are effective when buyers can trust that they’re a true bargain, and not a trick. To ensure that this is the case, we’ve put a number of restrictions in place. First, each product can only go on sale once every 60 days. This ensures that products aren’t perpetually on sale, because that would mean that the discount isn’t a real reduction in price. Second, Sales Campaigns can last a maximum of 14 days. Again, this ensures that products aren’t perpetually on sale. Note that it’s okay to create many sales campaigns, even covering every day of the year if you want, as long as you put different products on sale each time. Third, if a product raises its price then it can’t go on sale for 60 days afterwards. This ensures that unscrupulous merchants don’t raise prices and then immediately put products on sale. Fourth, merchants may not create “rogue sales”, i.e. sales that don’t use this system. This ensures that products that are shown as “On Sale” have met all of the restrictions described above, which is important in order to keep buyers’ trust. The Wish List has become much more interesting with this release, because when products go on sale we send an email to users that have these products in their Wish List. The Analytics pages now have a new column, “Discount”, which shows the discount level. This is useful to show the effect of discounts on sales. As mentioned previously, the Sales Campaigns table includes the revenue that was generated by the products included in each sale. Sales Campaigns open up a huge opportunity for savvy content creators to increase their sales. But with great power comes great uncertainty: how best to use sales? Since today is “Day 1” of this feature on Kitely Market, we don’t have data that can help merchants decide what to do. But we do have some information from other sources, and we’re not afraid of speculating. Virtual items in OpenSim (and Second Life) have some differences from games on Steam or e-books on Amazon. Some of these differences may make sales more effective, and some less. The first difference is that games and books take weeks to finish, so there’s some resistance to buying more and more of them too quickly. Speaking personally, I probably have 20 games I bought from Steam because they were on sale but haven’t had time to play. In contrast, virtual items can usually be used immediately (to wear or to rez), so their benefit comes shortly after the purchase. Advantage: virtual items. Games and books are usually more expensive than virtual items, so discounting them provides a bigger benefit to buyers. Do buyers look at the dollar amount they save, or the percentage of discount? We don’t know. But we believe that in this case, advantage: games/books. Game publishers and book authors typically have only a few items that they’ve created. This causes problems when they decide whether to put their items on sale: if they do lots of sales then people might figure this out and stop buying their items when they’re not on sale. On the other hand, it’s tough to forgo sales altogether. This dilemma is easier for creators of virtual items because they often have a much bigger portfolio of items, so they can realistically put each item on sale only once or twice a year, and still have something on sale all the time. Advantage: virtual items. Should products be on sale often, or rarely? 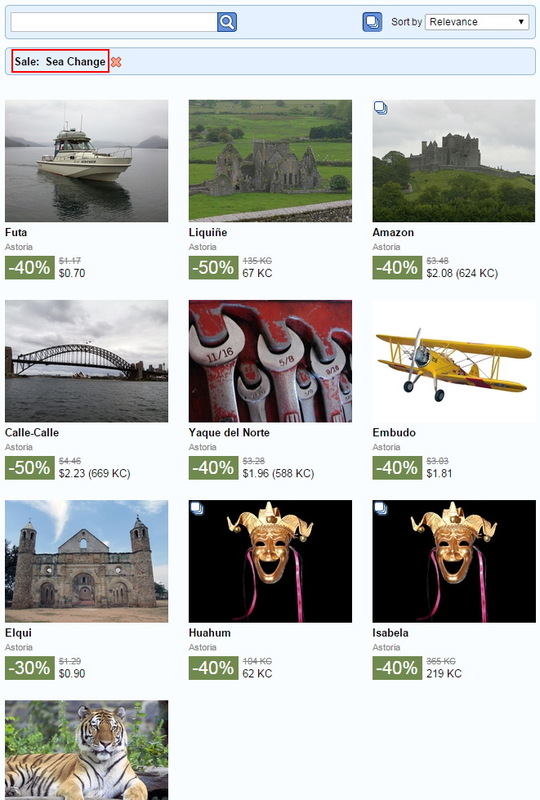 While they’re on sale they’re shown with the nice big green discount icon, which should increase sales. But if users realize that a merchant does lots of sales then they might stop buying his products for the regular price, which could lead to an overall decline in revenue. This would also have a negative effect on the entire Kitely Market, as it would desensitize buyers to sales so sales will become less effective. How long should sales last? We allow 1-14 days. Longer sales make it more likely that users will find out about the sale. But shorter sales might create more of an urgency with buyers. We currently think that the average duration for a sale should be a week. This also lines up nicely with Ads, since the minimum duration for an ad is one week. One particular type of sale is a full-store sale. You could advertise it as, e.g. “40%-80% off everything”. A major sale like this should occur only once or twice a year; last a full two weeks; and use an ad to ensure that people know about it. Another type of sale would be on a subset of items. E.g. : “Winter Clothing Sale”; “Valentine’s Day Couple Animations Sale”; etc. And finally, you could try to create some one-day sales that offer big discounts on a single product. This type of sale has been very effective on Steam, but the challenge is to get people to find out that the sale exists before it ends. Each product in a sale can have a different discount. You can use this to experiment with different discount levels: e.g., 30% for some products, 50% for others, 80% for yet others, etc. Over time you will learn what works best. One of our planned features (not included in today’s release) is an Analytics mode that lets you easily see all the price levels and discounts that you’ve used, and how much revenue was generated from each one. If you want to be even more rigorous then you can try using different discounts for the same product. This is more of an apples-to-apples comparison than using different discounts for different products, but it requires long-term planning. In order to get useful statistics you shouldn’t change the discount level for a product in the middle of a sale. This means that you’ll need to use different Sales Campaigns (which must be spaced at least 60 days apart) in order to get such information. We’ve been working towards the Sales feature for quite a while now. Even some of the previous big features, such as Analytics and Ads, were created with the Sales system in mind. So we’re glad that we’re finally able to make this feature available, just in time for the holiday season. Let’s make December a month to remember!